The Seakeeper 2 roll stabilizer is targeted at 27- to 32-foot boats. MIAMI—Seakeaper Inc. has expanded its line of roll stabilizers with a new model designed for boats measuring 27 to 32 feet. The Seakeeper 2 is being introduced today at the Progressive Miami International Boat Show on Virginia Key in Miami. 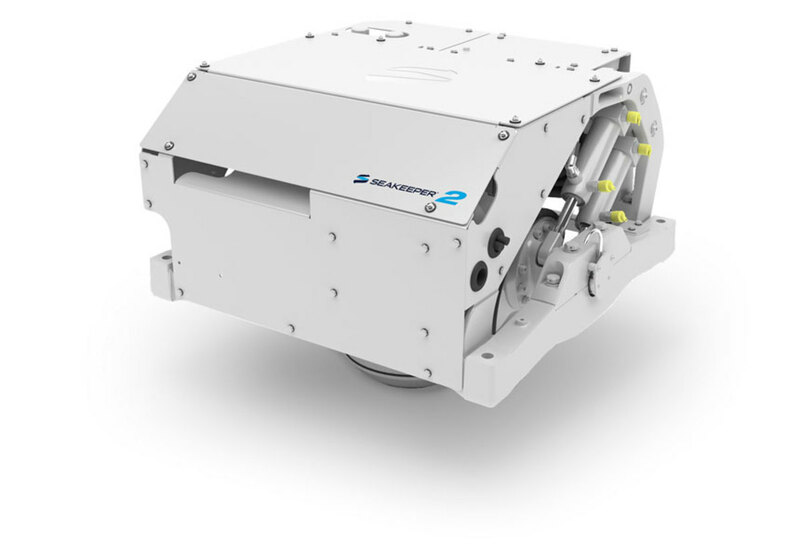 The Seakeeper 2 will run exclusively on 12-volt DC power and costs $22,700. The unit measures 24.8 inches by 25.5 inches by 20 inches, which allows for flexible installation locations on smaller boats. Seakeeper says many owners opt to mount it on a leaning post and the position doesn’t require modifications to the structure. The new unit utilizes a touchscreen control panel that allows users to capture real-time performance information. Orders are currently being accepted and shipments will start in April.